At J.A. Weaver's JAW'S Tree Service, Inc. we know that your trees are valuable assets which cannot easily be replaced. Healthy trees can provide shade to your property and character to your landscape. At JAWS Tree Service, we specialize in tree care in the Tampa Bay area and beyond. Tree care is important and properly maintained trees can add value to your residential and commercial property. Well-informed consumers know that the care of their trees should be entrusted only to an I.S.A. 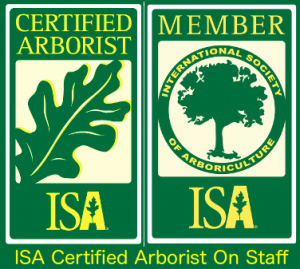 (International Society of Arboriculture) Certified Arborist. Proper train-pruning at an early age will help them grow into healthy trees with sound mechanical structures. Regular inspections and proper maintenance, including pruning and fertilizing, will help to keep them healthy throughout their life. Our certified arborist is available to help you assess your tree's needs. Please call us at (813) 837-3992 to schedule an appointment. "Results of pruning are permanent. Please choose your arborist carefully."